← Issue 18: Radio 4 – What a resource! Thank you to everyone who has been visiting this site since we started in August 2011. I hope you have a very Happy Christmas, and wish you all the best for the coming year. We are hoping to be able to offer various resources, and a method of buyng, them early in the New Year. 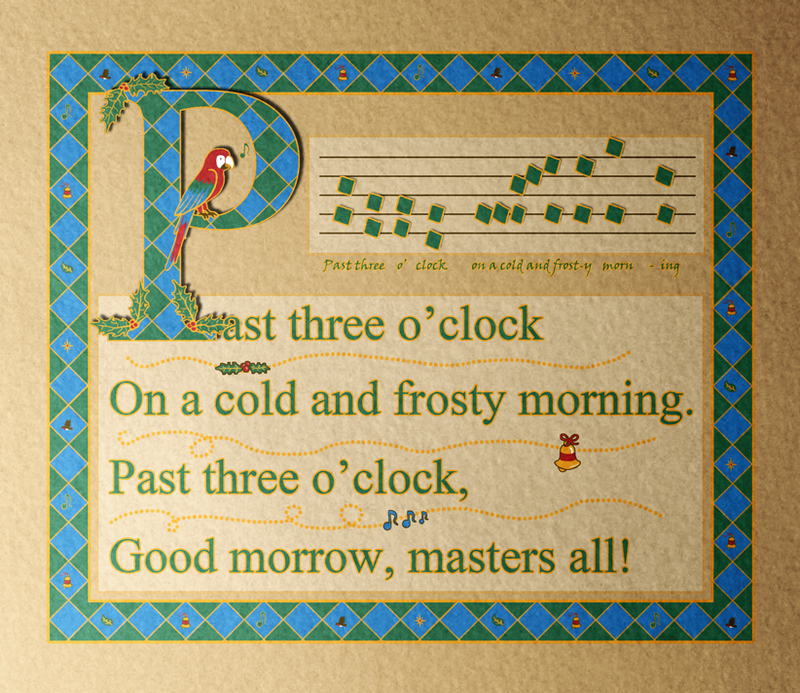 Meanwhile, I hope you enjoy our Christmas Card – an intriguing combination of ideas from the MusicJungle and from the visit to the Illuminated Manuscript Exhibition at the Brisitsh Library earlier this year.